If you’re looking for a new Mercedes-Benz at a reasonable price, then it’s time to check out our current Mercedes-Benz lease specials in Plano, TX! Whether you want to slip inside the CLA interior or try out the GLA SUV, our experts can match you with a luxury vehicle that suits you perfectly. Check out our inventory below, and visit our dealership near Carrollton and Dallas. Why Lease a Mercedes-Benz with Mercedes-Benz of Plano? While some drivers prefer to finance a new car, others prefer the flexibility of a lease. Our Mercedes-Benz lease offers are cost-effective enough to suit your preferred price range. You can even crunch the numbers yourself with our free online lease calculator! Lease contracts last for a few years, which gives you more opportunities to upgrade. That means you’ll be sure to get the most up-to-date versions of technology like PRESAFE®, smartphone integration, and more. Ready to take advantage of our Mercedes-Benz lease specials? 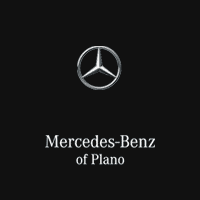 Visit Mercedes-Benz of Plano in Plano, just a short drive from Frisco, or contact us with your questions!